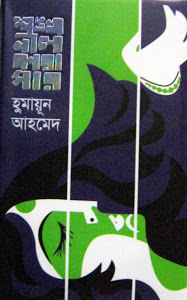 Shonkhonil Karagar by Humayun Ahmed is a great popular book in Bangla. Shankhoneel Karagar is one of the best books of Humayun Ahmed books. If you love to read Bangla book of Humayun Ahmed then you can read this book. The story of Shonkhonil Karagar is really awesome. Humayun Ahmed plotted the story of a middle-class family picture. The story is described by the main character named Khoka. In his family, there are seven members. The mother’s of Khoka is educated but he married Khoka’s father by fall in love. This information is not told anytime to Khoka of his mother but he hears that from his sister Tahera. Tahera is one kind of character that you will find all kind of love, affection, attraction to family in Tahera. So, if you read this Humayun Ahmed book, you will learn something about how to struggle with a middle-class family. If you are fond of Bangla novel especially for the writer presented here, then you may interest in downloading the book named Shonkhonil Karagar. To download Shonkhonil Karagar by Humayun Ahmed, you are required to click here!